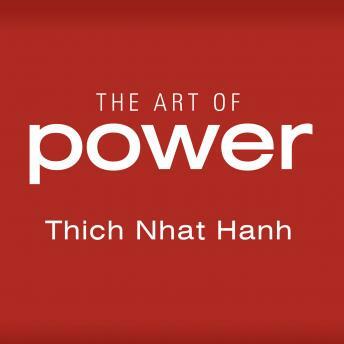 In The Art of Power, world-renowned Buddhist monk Thich Nhat Hanh offers a surprising and radical new understanding of how we attain true power. Power is one of the central issues in our lives. From work to personal relationships, the struggle for power plays a pivotal role and, more often than not, prevents us from attaining freedom and happiness. The bottom-line mentality in our culture seeps unnoticed into every other part of our lives. Thich Nhat Hanh illustrates how our current understanding of power leads us on a never-ending search for external markers like job title or salary. This me-first approach to life may have originated in the business world, but the stress, fear, and anxiety it causes are being felt by all of us every day. Turning the conventional understanding on its head, Thich Nhat Hanh teaches us that true power comes from within and that what we seek we already have. With colorful anecdotes, precise language, and concrete practices, this book will have an important and lasting legacy on how we understand our culture and choose to live our lives.